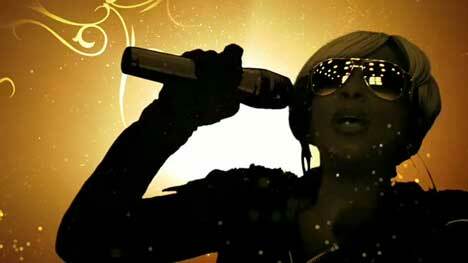 Mary J Blige appears in the latest advertisement for Apple’s iTunes and iPod, performing her track, “Work That”, in a music video titled “Queen”. The video, released on 20 November 2007, has Mary dancing around in reflective sunglasses, blowing magic dust from her microphone. The white zip on her jacket complements the iPods and headphone cords worn by her three dancers. Apple Queen was developed at TBWA\Media Arts Lab. Filming was shot by director Mark Romanek with director of photography John Barr, designed and animated at Logan, edited by Glenn Martin at Nomad. Compositing and online editing were done by Mork & Lys.